1. Open a window. Any chance you get, weather of course permitting – optimally 55 degrees or above, take the opportunity to open up a few windows across the office for 15-20 minutes. 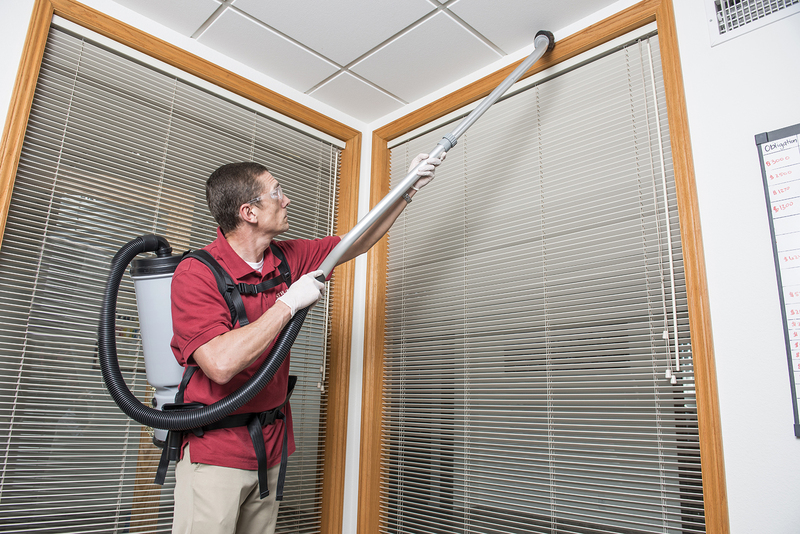 Circulating fresh air throughout the building will help rid of any airborne pathogens or toxins that may be lingering. It also helps your heater intake take in fresher air (once the windows are closed of course) which help circulate it throughout the building and ventilation. Indoor air is known to have significantly more toxins than outdoor, even in cities, so opening the window can help heal your immune system along with preventing the spread of illness. 2. Put down a rug. Colder weather usually brings wetter weather. Putting down a heavy duty rug in all entrances can not only prevent slipping accidents, but also the spread of mud, debris and water across business flooring which can contain molds and germs which affect air quality. Also, if your business caters to young children like a toy store or daycare school, there is no doubt they are willing to pick up anything off the floor, so it is best to make sure it preventative measures are taken! 4. Change your filters. Many of us fail to remember to change our HVAC filters in our homes, so it is no doubt we also fail to do so in our businesses. Making it a routine every time the seasons change (at least winter and summer) to change your filters will help improve the air quality and circulation no matter what the temperature.